Snapshot of a man in uniform identified on the reverse as Captain Murray A. Coker. I believe he is the Murray Alexander Coker who graduated from Lawrence High School at Fairfield, Maine, in 1925 and Colby College in 1929. The January 1945 edition of the Colby Alumnus notes that he was then stationed at Wright Field at Dayton, Ohio. Murray Alexander Coker was born March 19, 1909 in what is now the Province of Newfoundland and Labrador, the son of James and Mary Coker, as stated on immigration and travel records. James and Mary Coker, with son William C. Coker, continued living at Fairfield, Maine, after Murray had achieved his education and moved on. The parents indicated they were both born in Scotland. Murray died in 1999 in California, according to a Social Security record. 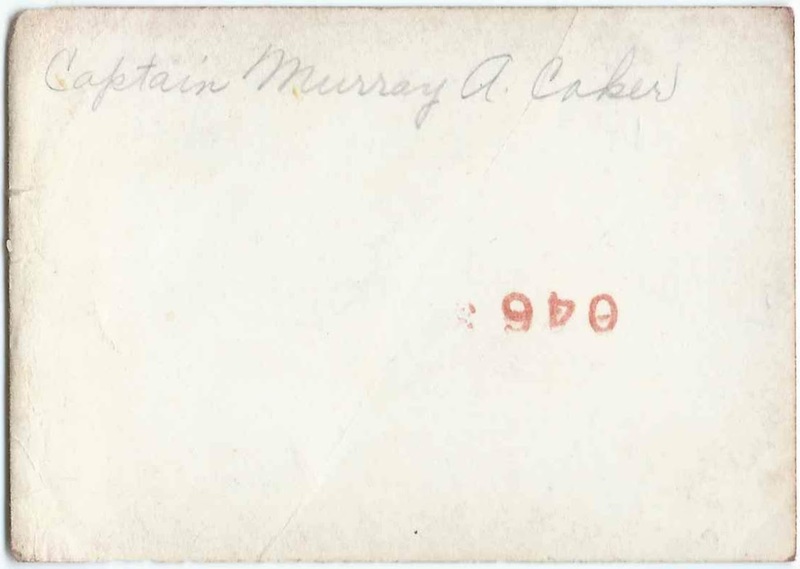 If you have more information on Captain Murray A. Coker, especially if you feel he was a different person than I've described, please leave a comment or contact me directly. Be cautious, however, when writing about people who may be living or just recently deceased. The photograph came with others, which may or may not have a relationship with each other. But several photographs depict Lucile Elizabeth McClintock, who also attended high school at Fairfield, Maine, and Colby College. One of the photograph of Lucile shows her with a group of 13 men, presumably her coworkers, and presumably at a woolen mill owned or operated by the Haines family at Hartland, Maine, or Fairfield, Maine. 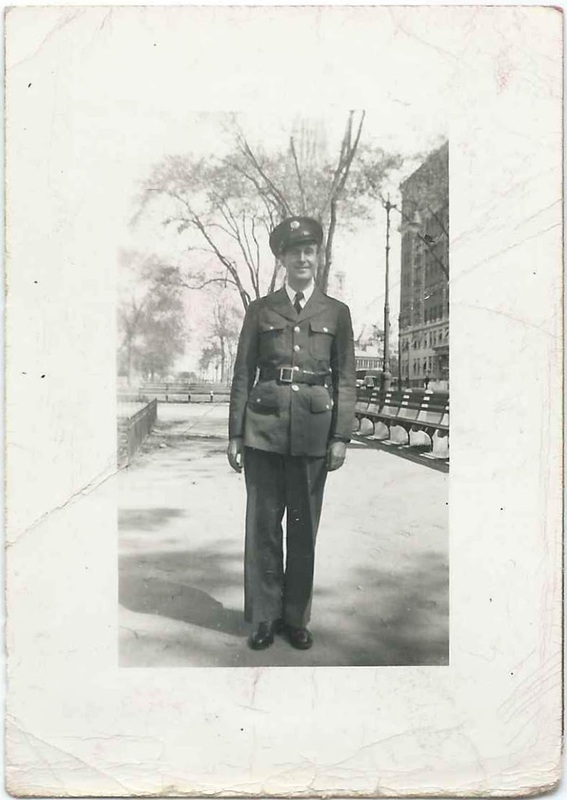 Other surnames in the collection - though I don't know if any of the other photographs have a connection or not: Parker, Swindell, Strout, Hinkley, Starbird.